Built at the height of the Cold War to withstand a five-megaton nuclear assault, the Diefenbunker is a massive underground, four-storey, 100,000 square foot fortress designed and constructed entirely in secrecy in 1959. Decommissioned in 1994, this extraordinary relic of has found new life as a museum, events venue, exhibition and performance space. 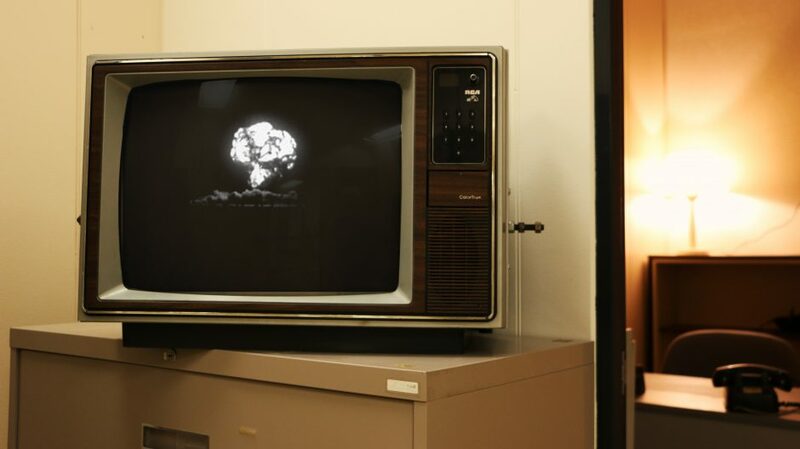 Inspired by the objects, rooms, and spaces of this Canadian Historic Site, the Diefenbunker’s 2017 artist-in-residence, Pixie Cram, has created a stop-animation film that imagines a nuclear fall out scenario.